Mikel Arteta is keen to keep learning from Pep Guardiola at Manchester City. 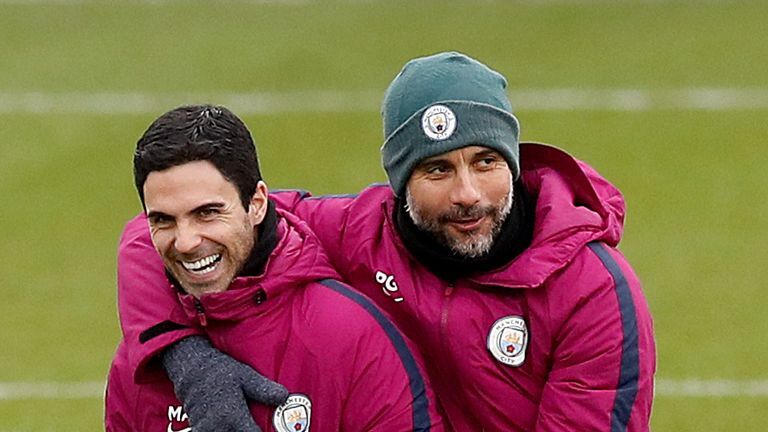 Mikel Arteta has no regrets about not joining Arsenal last summer, insisting the opportunity to work and learn under Pep Guardiola at Manchester City “has been incredible”. The 36-year-old, who spent five seasons as a player at the Emirates, was a leading candidate to replace Arsene Wenger last summer, before the Gunners eventually settled on Unai Emery. That meant Arteta, who has worked under Guardiola since July 2016, remained at the Etihad Stadium and he insists he is happy with how things worked out. When asked how close he came to leaving for Arsenal, Arteta replied: "You all know some things that happened but the reality is I am here and I am very happy. "In football, it is so hard to predict things. When things happen, you have to make decisions and sometimes you don't have time to make decisions. "The decision was made and I am so happy. I am very privileged to be where I am." Guardiola praised Arteta for his "outstanding contribution" after last season's record-setting title win and said he hoped his compatriot would stay so they could "finish what we started together in the upcoming years". And Arteta appears content to continue his development under Guardiola for the foreseeable future. When asked what Guardiola was like to work with, Arteta replied: "Really good, really easy, very hands on but he leaves room for everybody to express themselves. [He is] very detailed. "I've known him for a long time. We got brought up in Barcelona with the same mentality and the same philosophy so we clicked together really well. "Pep had a very clear role for me when he asked me to join the club. I had played in the Premier League for years. "My learning here in the last two seasons alongside him has been incredible. That will continue. "If you ask, one day in the future will I be a coach, the answer is probably yes, but I am very happy where I am, we have fantastic momentum now and there is still a lot of room for this club to grow." Guardiola handed media duties to Arteta ahead of Manchester City's Champions League opener against Lyon. The City boss opted out because he is serving a touchline ban for the game at the Etihad Stadium as a result of his sending off in last season's quarter-final against Liverpool, meaning Arteta will take charge. "It is a good challenge, a very nice challenge, but if I had to choose, I would choose Pep on the touchline, because he does that job better than anyone else," Arteta said. Striker Sergio Aguero and defender Benjamin Mendy will both be assessed on Tuesday evening ahead of the game. Who has the best front three? 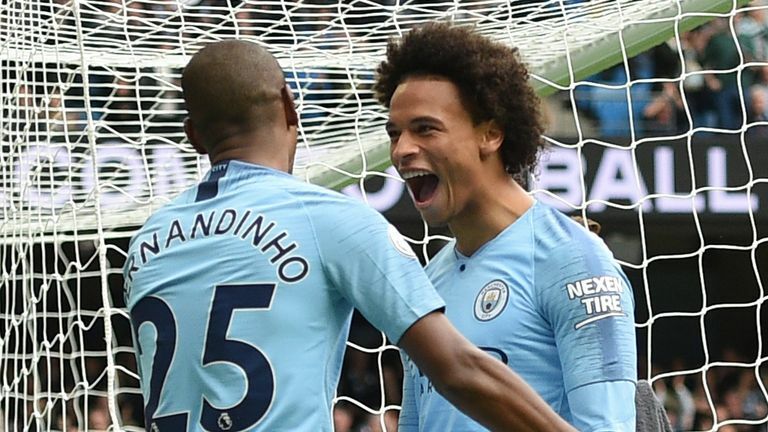 Aguero suffered an ankle injury during Saturday's defeat of Fulham while Mendy missed the game with a knee problem. Arteta said: "We have a training session now and will see how they react."